“Healthy mind exists in healthy body”. However, there are many students whose mental and physical development have been hindered due to the scarcity of food. 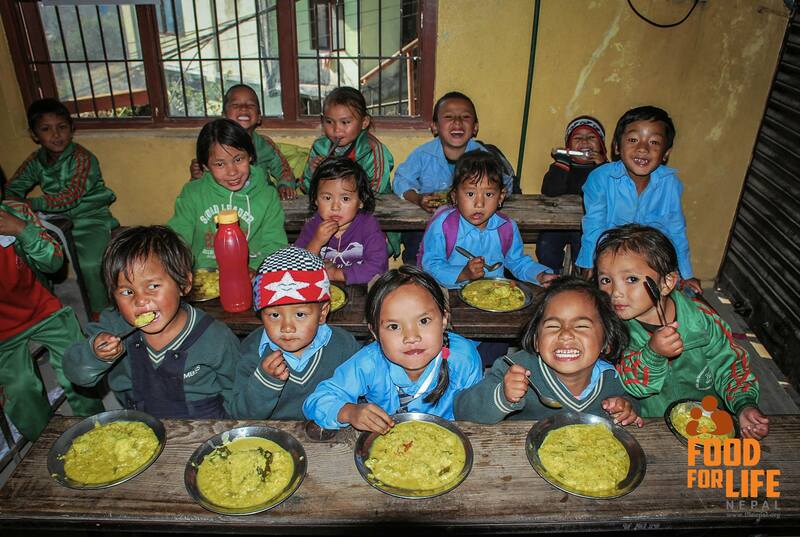 Food for Life Nepal (FFLN) was established with an objective to provide mid-day meals to such students who have no access midday lunch. It has been providing mid-day meal to nearly 1600 students. When Everest English School, an institution which has always remained a step ahead in encouraging social activities, found out about FFLN and its mission, it appreciated the programme. In addition, it decided to make some sort of contribution so that some more students can be served with food. When the message was circulated to students, teachers and staffs, they were found really eager to help, and a sum of Twenty Five Thousand Five Hundred Twenty Five was collected and handed to the representative from FFLN. The amount, according to him, will provide mid day meals for 25 school children for a month.